The evenings are getting cooler and the leaves are starting to change color, fall is just around the corner. Autumn is the perfect time to add a little spice to your date nights! We are big proponents of making the time and effort to date your spouse. Regardless of whether you have kids or limited funds, it’s crucial that you don’t use it as an excuse not to spend intentional, special time together every now and again. 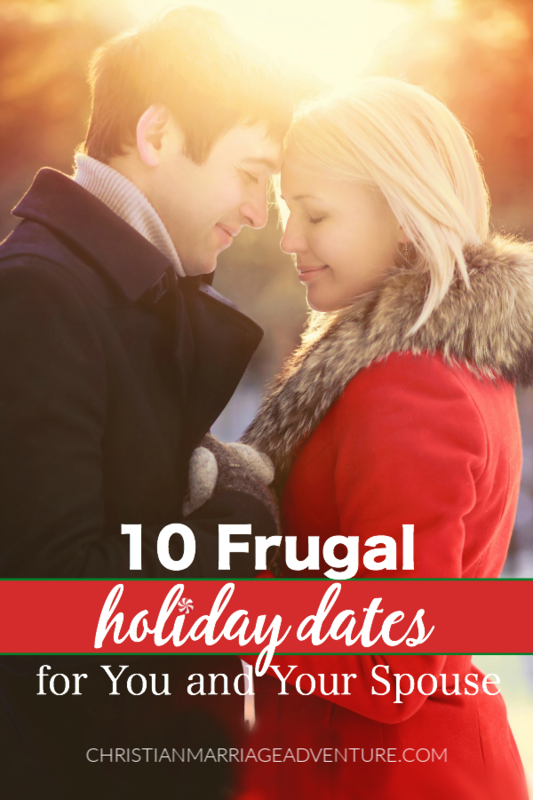 We have shared a plethora of date ideas from romantic stay-at-home date nights to outdoor dates to free and low cost dates. Today we’re going to share with you some fresh and fun fall date night ideas that will is perfect for any budget! Go for a walk and enjoy the fall foliage – Take a walk in the woods, or somewhere with a lot of trees, and enjoy the changing colors. This is perfect for those of you on a tight budget, but are looking to spend some time outside. Bundle up for a picnic – Skip the usual dinner at a restaurant and go for a picnic on your next date night. Cook your sweetheart’s favorite foods and pack them in a picnic basket. You can go to a local park, or take a drive until you find the perfect spot. If all else fails, go for a picnic in your own backyard! You can also have an early morning picnic or late night picnic in your backyard while your kids are still in bed. Make giant leaf piles and jump in – You’re never too old to jump in a pile of leaves! Many take for granted the simple things like jumping in a pile of leaves, plus it won’t cost you a thing. Make caramel or candy apples together – Don’t let bad weather ruin your date night! Have a date night in and make caramel or candy apples together. Here is a recipe you can make using your picnic basket. Enjoy your treats by the fireplace, or while watching a movie. Go to the zoo – Zoos tend to be more crowded during the spring and summertime. Between kids on summer vacation and daycares taking field trips, the zoo is the last place you want to be during these months. However, during the fall months there will be less people and the animals are more likely to be out and about since the temperatures are cooler. Attend a fall festival or fair – Fall brings an abundance of fall festivals and fairs no matter where you live. Be sure to check Facebook for special deals and offers on fair admission. You might be able to find early bird passes at a steep discount. Go apple picking – Apple picking is a great way to get outdoors and spend time together. Use the apples you’ve picked to make a pie together, or make candy apples. Build a fire and roast s’mores – Nothing says fall like bonefires and smores Enjoy a date night outdoors by a roaring fire and roast s’mores together. For an even more romantic night, go to a local beach. They will be less crowded, plus you can enjoy your s’mores by the ocean. Go through a corn maze – You don’t have to be a kid again to enjoy an old fashioned corn maze. Spend an afternoon navigating your way through a corn maze. It will not only be fun, but it will help build your teamwork as well. Go on a hayride – Take a look around your city for a place that offers hayrides. This is a great way to spend quality time together, plus it’s a lot more romantic when your kids aren’t with you. Go to a local football game – Fall brings football season. Go to a nearby city, high school, or even college football game. If football isn’t your thing, then consider just tailgating instead! Don’t forget to bring a blanket to snuggle up under. What are your favorite fall date night ideas?